Norman Cook had ridden across 1998 in triumph, building his Fatboy Slim persona into a dependably gonzo pop brand. On “The Rockefeller Skank” he’d pushed his machines hard enough to break them, the track unspooling into a chaos of jammed samples, the sound equivalent of a stuck keyboard keyyyyyyyyyyyyyyyyyyyyyyyyyyyyyyy. Following in that greatest of pop traditions, it sounded brilliant so he kept it in. Then built on it: under a bouncy – and annoying – brass and vocal sample, “Gangsta Tripping” was a ball pit of joyful splices and rapid cuts. His remix for Wildchild’s “Renegade Master” was harder-edged, pushing cut-up repetition to brutal levels before taking his hand off the brake for moments of delicious dancefloor relief. How far would he push it? 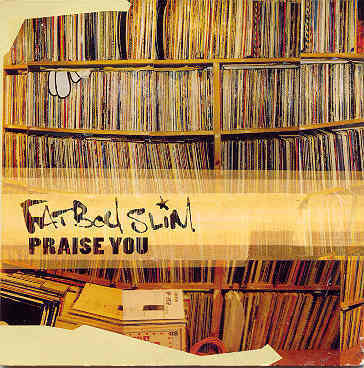 “Praise You” starts off slow and intimate – the bassy roll of a piano riff, and a sample of Camille Yarborough’s “Take Yo’ Praise” – and then slips into his longest stuck-sound yet, the word “should” extended second upon ludicrous second. It sounds like the gateway to the biggest, baddest Fatboy beat-drop yet… but instead he does something else. The trapped-fly buzz of the “should” falls back into the track, overcome as the rest of the groove builds up. The song gets gentler. This is the first Popular entry I’ve written in the Southern hemisphere. And while it wasn’t a big hit down under – or, I think, anywhere except the UK – “Tragedy” moved one of my marvellous Australian hosts to asset that it was the greatest pop performance of all time. His other comment was that this review should just be the “Tragedy” dance, done by me, as a gif. I’ve spared you that, at least. 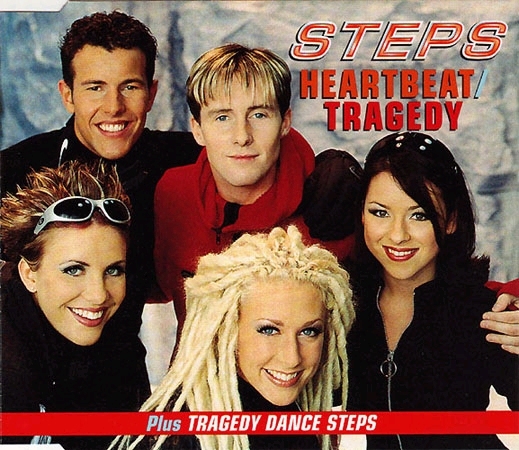 But that’s “Tragedy” summed up – it’s a record with an outsize reputation in some quarters, and certainly it’s Steps’ big cultural moment. And it’s also a cover version with an extremely easy dance step. This was part of Steps’ initial concept, when Pete Waterman decided he could do more with them than the line-dancing cash-in they started off with. Steps by name, Steps by brand: each single would come with its signature dance. It was a shrewd gimmick, though it’s the other half of the concept that interests me more – Waterman decided Steps would stand out in an age of bubblegum and R&B inspired groups by offering “ABBA on speed”: big, melodic, heart-on-sleeve pop. Every so often on Popular I hit a knowledge gap that there’s simply no way of talking around, and this is one. I have only ever seen one episode of South Park, after the pub one night, sometime in its first flush of success. 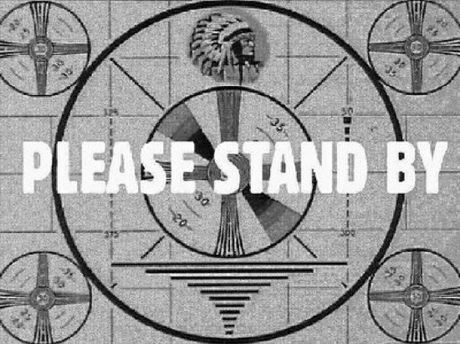 I didn’t like it enough to watch more, and that turned out to be it for me and the show – this single aside. 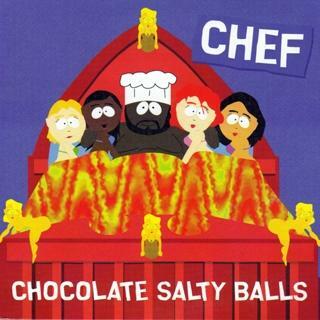 If you want a comment on South Park, how “Chocolate Salty Balls” fits into it, its cultural significance – well, the box is open, and I know a lot of the writers here are fans. With that large and necessary context torn out, what independent life can this song have? Quite a lot. It’s the first outright comedy record to get to #1 since “The Stonk”, but the gap in care, structure and wit between the songs is colossal. There’s none of the soul-shrivelling forced bonhomie of Red Nose Day about this record, where you herd the comics of the day into a studio and pray something half-funny emerges. This is a return to a seventies model – funny songs that got to Number One because they made people laugh. I give every record on Popular a mark out of 10. This poll is your chance to tick any singles YOU would have given 6 or more to. In 1998 my top score was a 9 for Cornershop, my lowest a 1 for Boyzone’s “No Matter What”. Use the comments to discuss the year in general, present other lists, etc etc. “Viva Forever” had been the Spice Girls’ unofficial break-up single – its themes (and wistful qualities) well able to shoulder the job of seeing Geri Halliwell off. What need for “Goodbye”, then? The song existed in demo form pre-split but was gussied up into a statement by band and songwriters afterwards. Could it feel like anything other than a cash-in? Perhaps not, if it had just been about Geri. But momentum was flowing away from the band, whether they knew it or not. “Goodbye”, a non-album single meant publically to cap the Girl Power era and launch a new, four-woman one, just felt like the end, full stop. “It’s not”, the chorus smoothly protested, but events, and the vibe of the song itself, honoured its title as a not-all-that-well-hidden intention. This is the second in a series of critical essays on the Pokémon games, one for each generation. 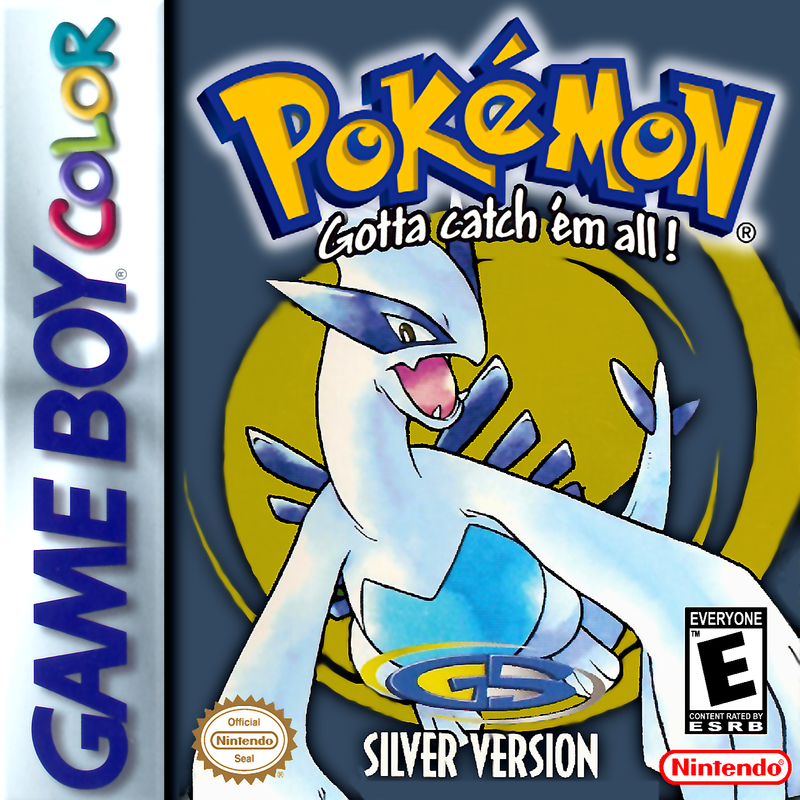 Where Pokémon Blue delighted in technology, Pokémon Silver sinks into history. After being given your starter Pokémon, your Pokedex and your mission, you walk into the deep woods of Johto and encounter in quick succession a tower built around an ancient, giant Pokémon; 1500-year old ruins filled with strange carvings and an entire race of enigmatic beings, and a well whose significance to its local village dates back four centuries. In that village lives Kurt, master of the art of Apricorn carving, a skill that predates the Poke Balls you use. Like the great trunk of Sprout Tower, the Pokémon world is putting down roots. UPDATE 7th August 7:20pm: IT LIVES! We have comment forms and polls and other stuff back. 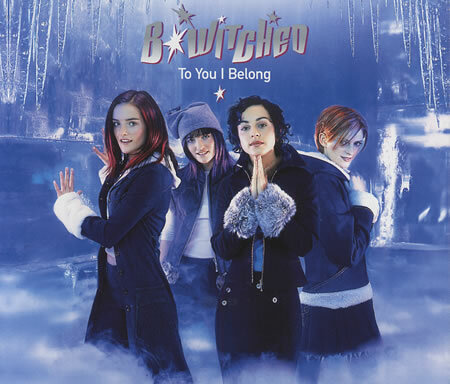 The wintry sleeve and video make the game here obvious even if the song doesn’t – B*Witched’s third single is a notional shot at the Christmas Number One. Its chances were ceremonial – as a release date politely ahead of the Spice Girls’ post-Geri blubfest suggests, “To You I Belong” was only ever expecting to be a runner up on the big day. As an unofficial teaser, though, it had the desired commercial effect, nudging Cher aside for a modest week.